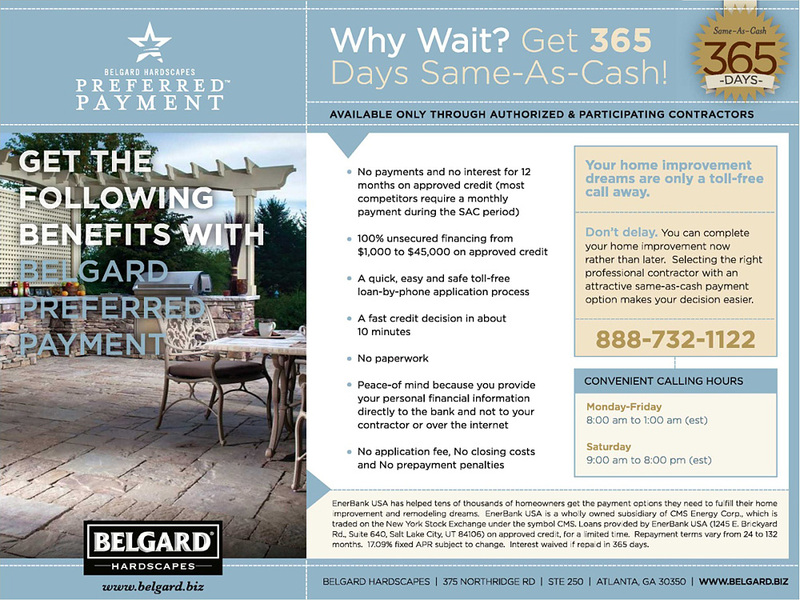 *Preferred Payment Program (Same As Cash) is offered through Belgard Hardscapes. *Project must utilize Belgard products in order to qualify. *Must have project details prior to applying. 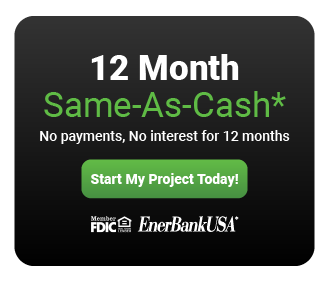 *You must obtain a Project Bid and Details from an SNS Pavers project manager prior to start of loan application. *Please contact us with any questions. *Once Project Bid is completed, you may apply online by clicking the "Start My Project Today" button below.